Breathtaking volcanic peaks evoke a Jurassic-era image and unexplored adventures await. 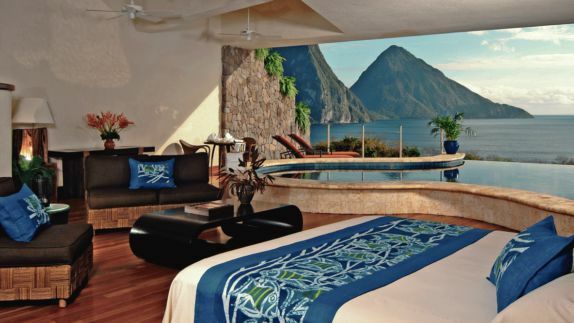 Let impeccable luxury and incredible views of the Pitons be your view from stunning private sanctuaries. Walking into your room for the first time is one of those feelings that make you wish you could experience over and over. As you uncover this paradise on earth, you can’t seem to shake the feeling, that this all seems too good to be true. How do I get to the resort? What is the view like? 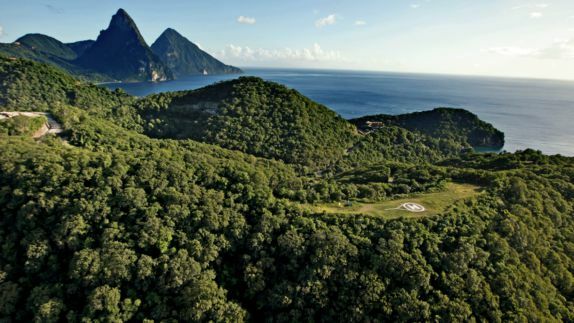 As your car makes its way through a jungle of winding serpentines, you are met by the dramatic vista of the two world heritage-listed ‘Piton’ mountains. 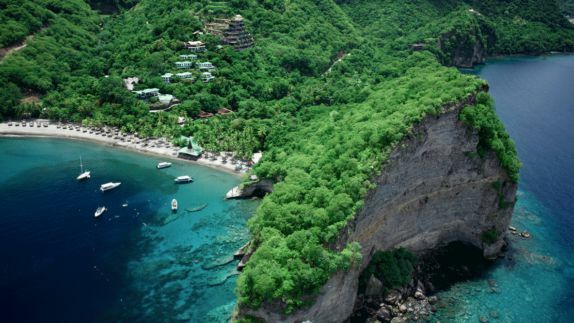 The Jade Mountain sprawls out in front of you like a spaceship from a far away galaxy with lovely volcanic beaches within easy reach for the sun worshippers. Will I have my own private pool? Is there a view of the ocean from my room? 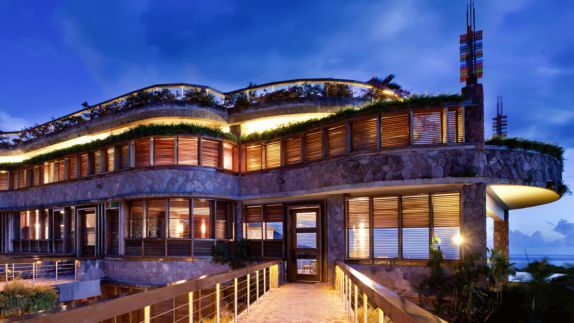 Grand sweeping spaces, mezzanine-level bathrooms and extraordinary platforms float out into nature to create rooms that the Jade Mountain Resort calls “Sanctuaries”. 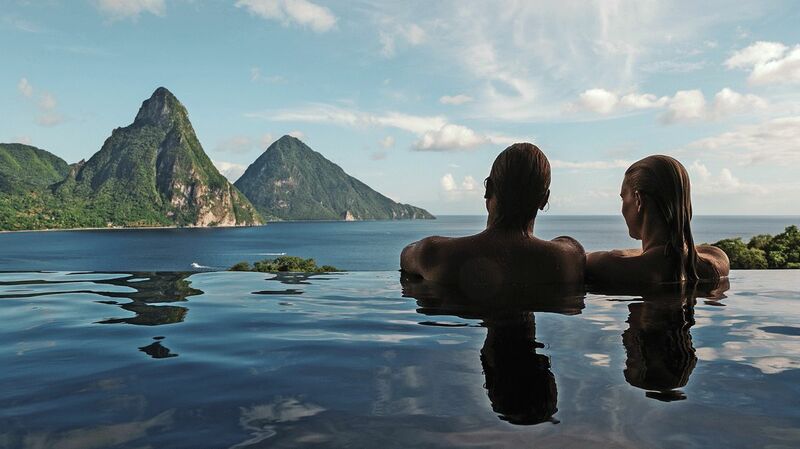 Nothing stands between you and the elements as an absent fourth wall blesses guests with mesmerizing views of the eternal Caribbean Sea from which to embrace the full glory of the Piton mountains. What is the spa area like? What kind of treatments can I expect? 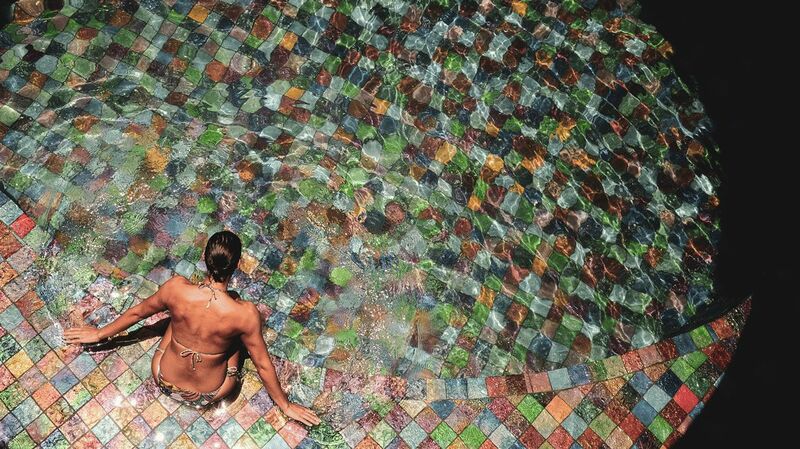 Awaken your senses and bring them into pure harmony as infinity pools glitter and seem to cry out for you to jump in. Let licensed, attentive and thoughtful therapists seek out the uniqueness of your individual needs and bring back balance to your overworked equilibrium, as ancient and contemporary techniques encourage a personalized experience of utter bliss and excellence in a natural manner. What kind of cuisine can I expect? What kind of dining options do I have? Find yourself speechless by the sheer impact of the view and beauty beyond words as the sun sets and creates a beautifully painted sky at the Jade Mountain. 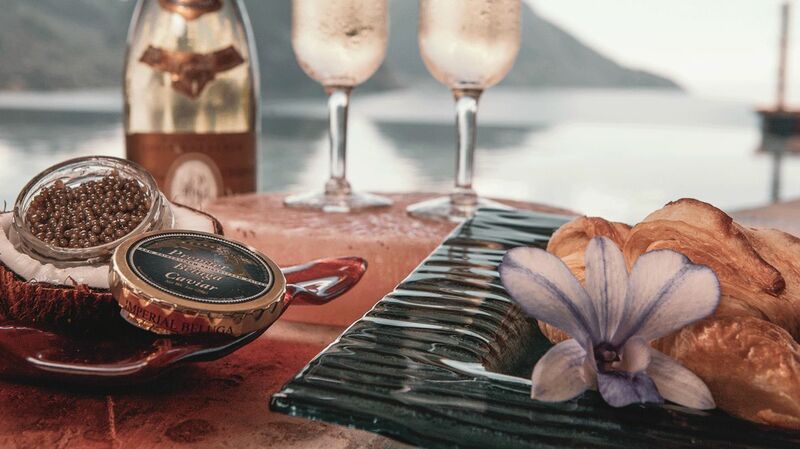 Celebrate your passion for food and spices beyond the two Piton mountains where luxurious kingfish ceviche and coffee-crusted filet mignon looms. Life’s most memorable moments and dishes deserve a location like this. What kind of adventures can I go on? 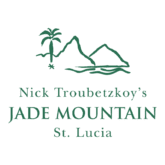 What does the the Jade Mountain have to offer? Acres of rainforest greens, wide open plantations and the exclusivity of the world’s only drive-in volcano beg to be discovered. The elegance around will never cease to amaze and inspire the tranquility within. 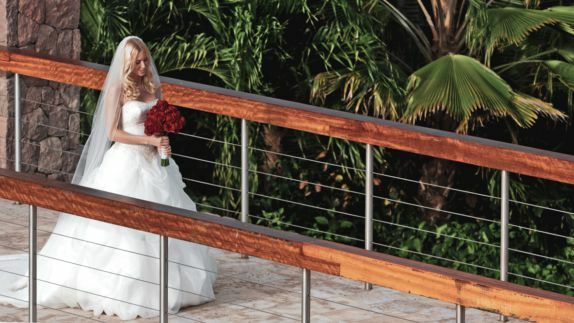 No matter what you love, you’ll find your rhythm and moments that will leave you breathless in the Caribbean. The perfect location for your "Yes"